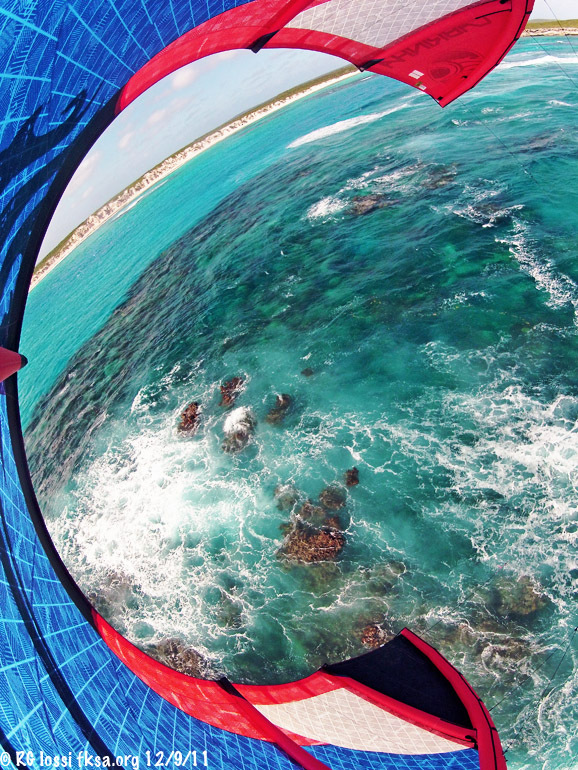 Sunset kiting off Rum Cay, life doesn't get much better than this! 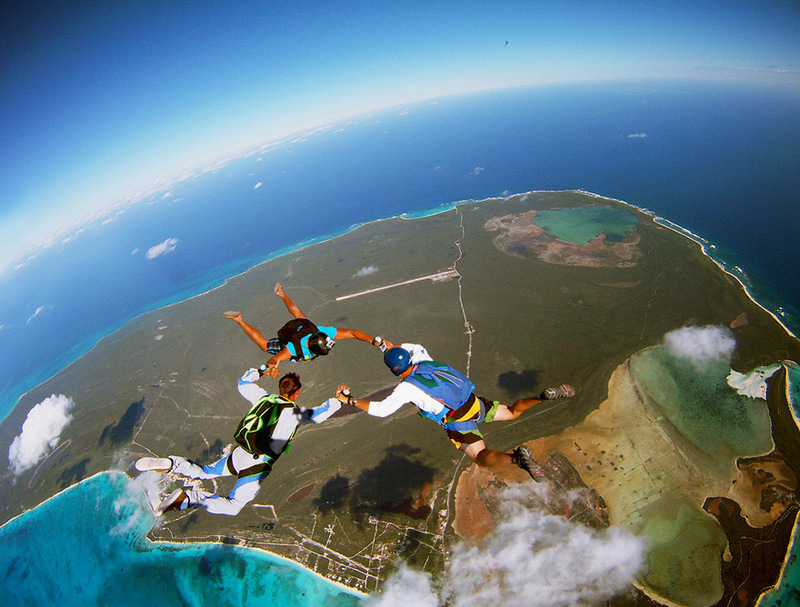 A group of action sports enthusiasts were invited to participate in a boogie at Rum Cay in the Southeastern Bahamian Islands recently by Jesse Cors of Island Extreme Ventures, jcors@guyharveyoutpostrumcay.com . 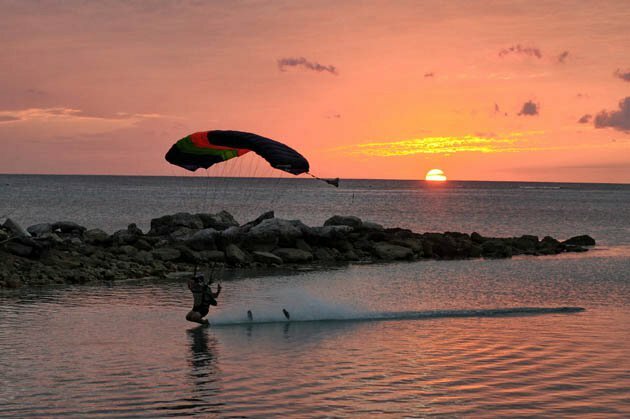 The event promoted both air and water sports including sky diving, kitesurfing, diving, surfing, fishing, standup paddleboarding and a good deal more. 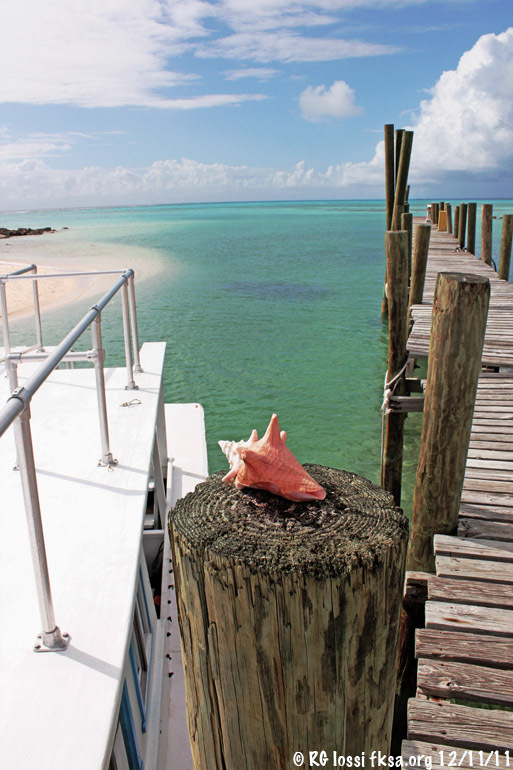 Rum Cay is in the southeastern Bahamas about 380 miles out from Ft. Lauderdale, FL. Nassau is about halfway between the two points and is usually the place where plane changes occur. 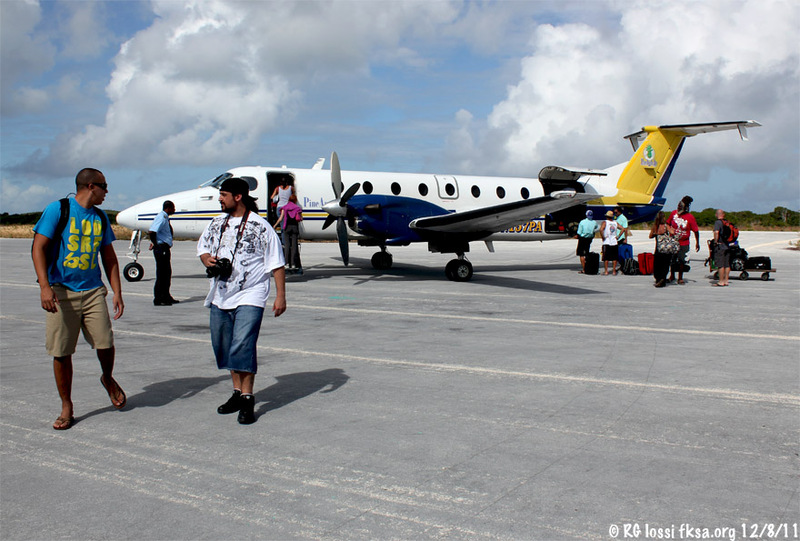 For larger groups direct charter flight from Nassau to Rum works. In other cases another flight leg from the Exumas, Long Island or San Salvador to Rum connecting from Nassau is necessary. 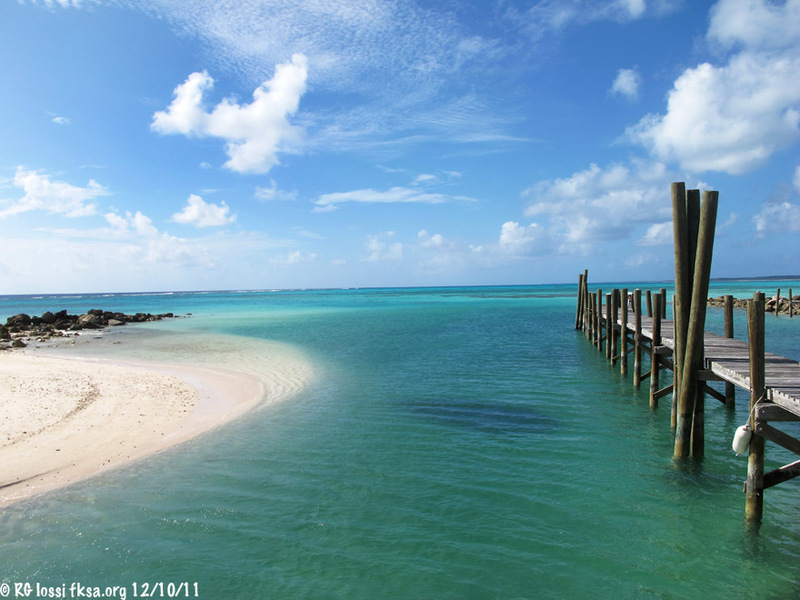 We stayed at Rum Cay Outpost Club & Marina at the southeast portion of Rum Cay. The marina is a man-made basin which serves as a pretty good hurricane hole too. Bobby Little created this out island destination and is shown here with his animal entourage who travel the island and seas with him regularly. I shot a video interview with Bobby about Rum Cay, the operation here, what it has to offer and plans for the place. The interview will be included in the next installment. 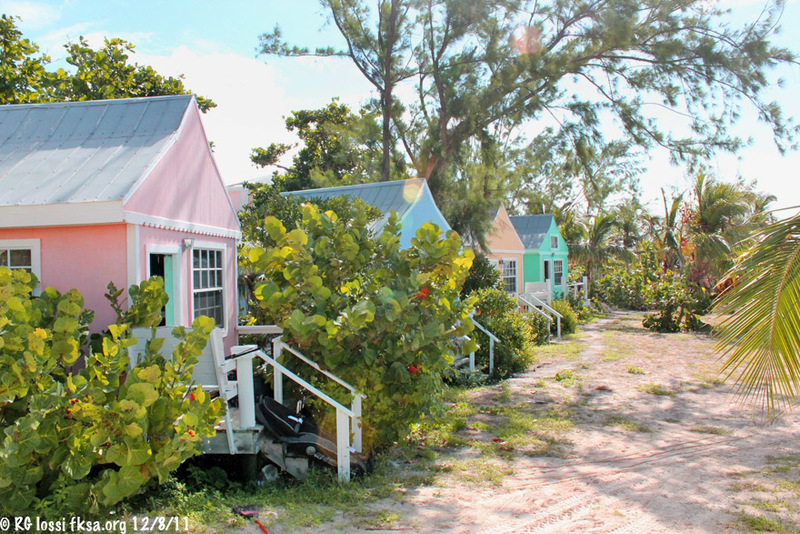 Rum Cay is a small island with an even smaller population of 60 full time residents. Our group of 20 equalled a third of the islands population! It is a quiet place, close to and all about the ocean. 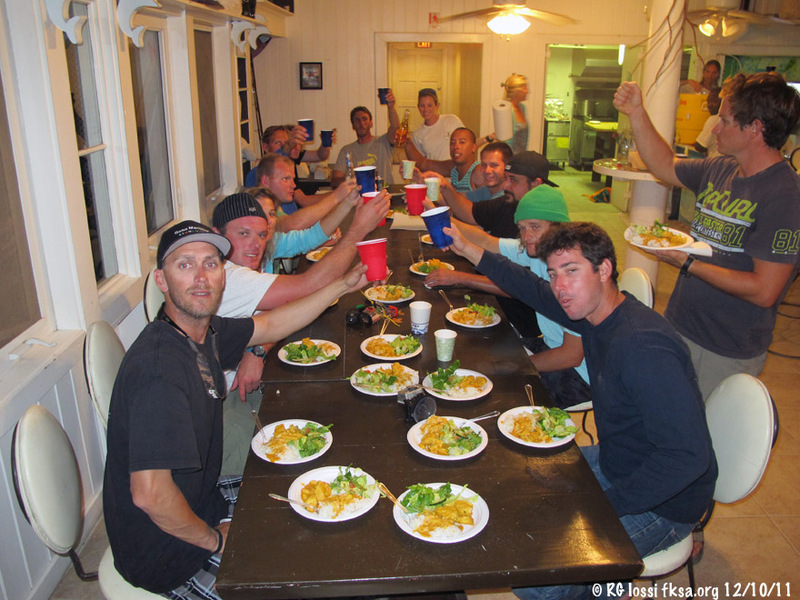 All images not marked were provided by Jesse Cors on behalf of Rum Cay Outpost Club & Marina. 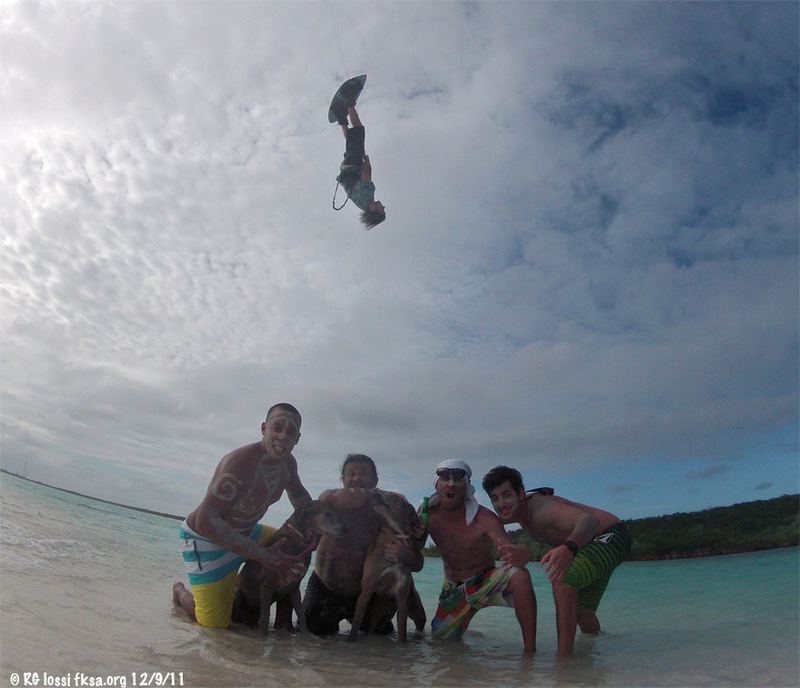 Sky diving, kiting, diving, surfing and other action sports are facilitated on Rum by Island Extreme Ventures. 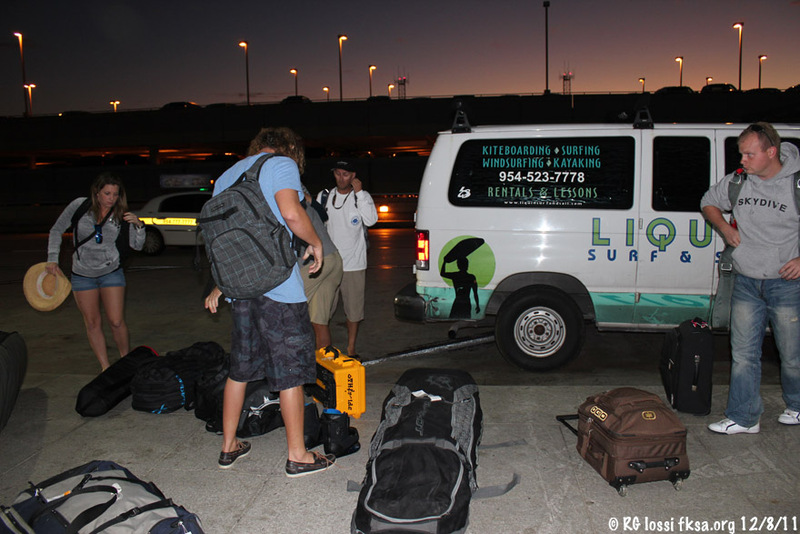 Our Bahamian adventure started early with several participants in the boogie car pooling to FLL for the flight out to Nassau in the Bahamas. A sketch map overlay of a satellite image of the island with points of interest. 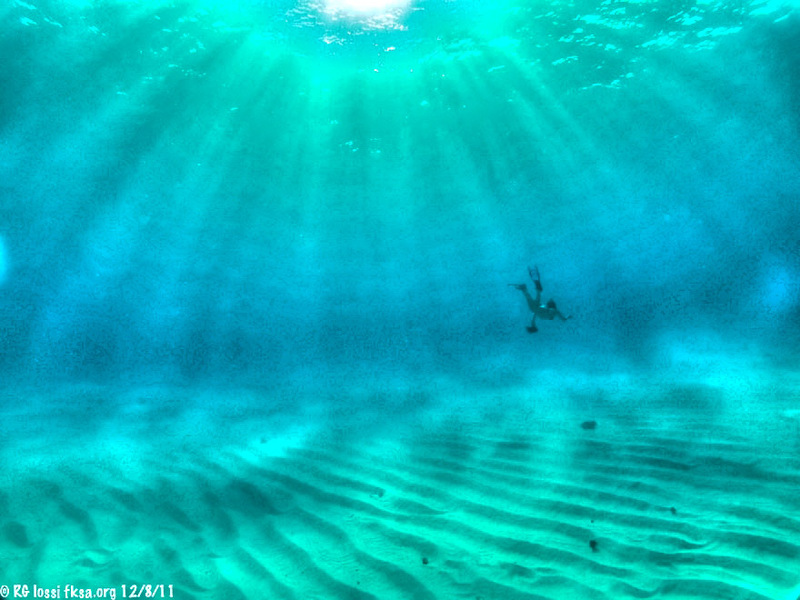 Kristyn roams over the nearshore sands in search of conch for the evening meal. 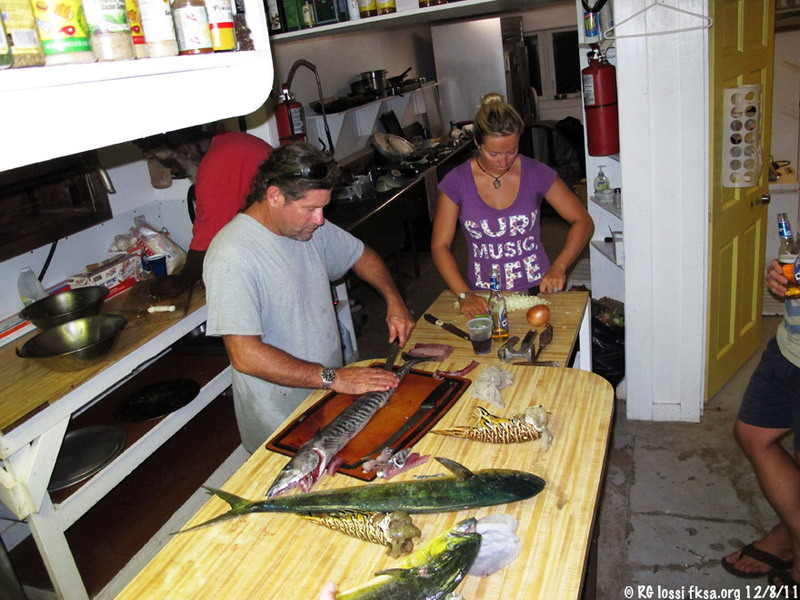 Foraging for seafood is a daily afternoon process to provide fresh conch, lobster and fish for dinner. 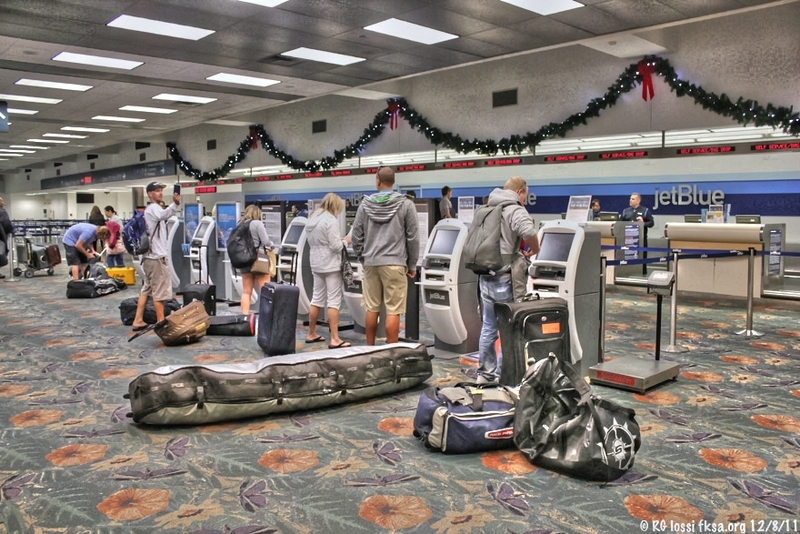 Our morning self-checkin with some distinctive luggage at Ft. Lauderdale International Airport. The fare from JetBlue was surprising reasonable for roundtrip to Nassau in the Bahamas. We all have a job to do on Rum, for most it is taking as much pleasure as possible for the simple joys of the place. 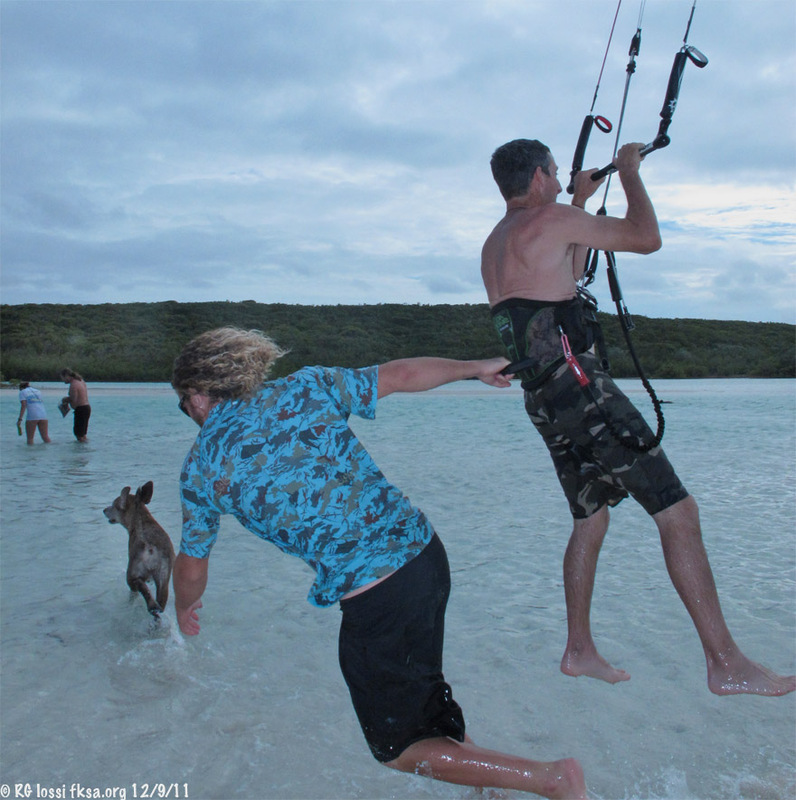 Visitors immerse, literally in ocean pursuits, fishing, diving, kiting, SUP, surfing, cliff diving, sky diving, exploring and just savoring life on island time. 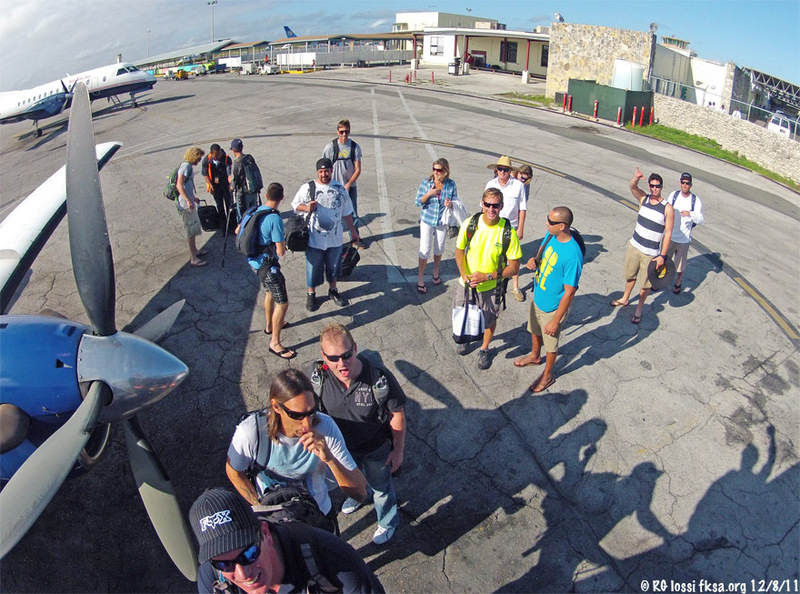 The intrepid Rum Bum Boogie crew collecting on the tarmac at NAS to board the Pineapple Air plane for the trip from Nassau to Rum Cay. These folks are well traveled and experienced in the finer side of life be it hurtling towards the surface at 120 mph, throwing themselves skyward from a wave ala kite to paddling into some prime surfing swells. Speaking of surf, Marcus is ducking under an incoming swell on his way out to the break. Look at that visibility! I shot some nice GoPro video of the guys catching rides, stay tuned for that. About a half hour later we're on the ground at Rum, unloading and getting ready to travel to the Outpost, our digs for the Boogie. 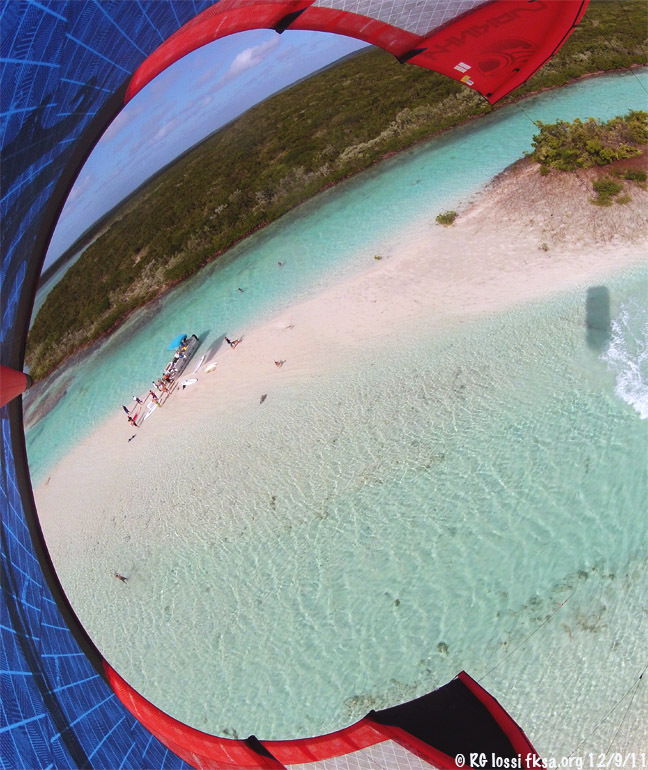 Craig greases one into surface effect over water gliding into the beachside dropzone. He decides to up the degree of difficulty by dismounting his patent "jump" flip-flops along the way. The sun looks on as it slides to the far side of the earth, all is good. 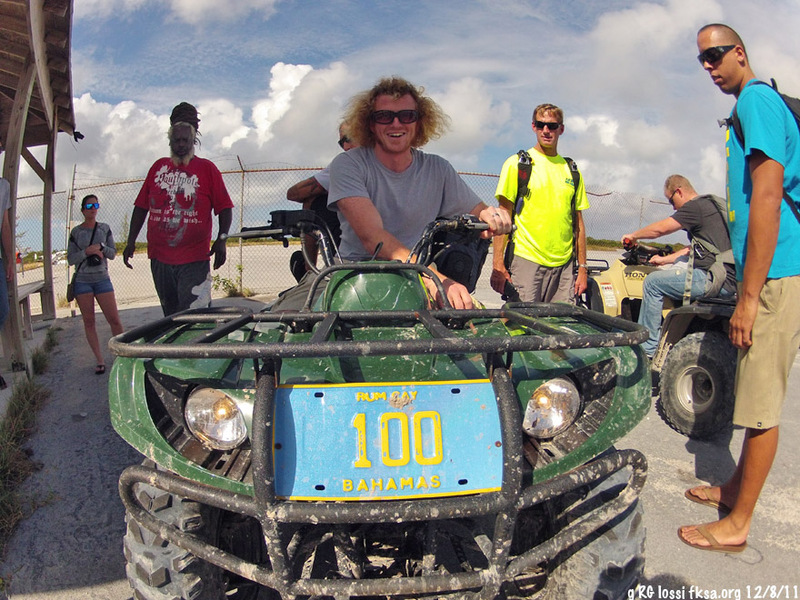 Chris mounts his ride to the Rum Cay Outpost Club, one of the trusty ATV's that provide ready transport over the island. 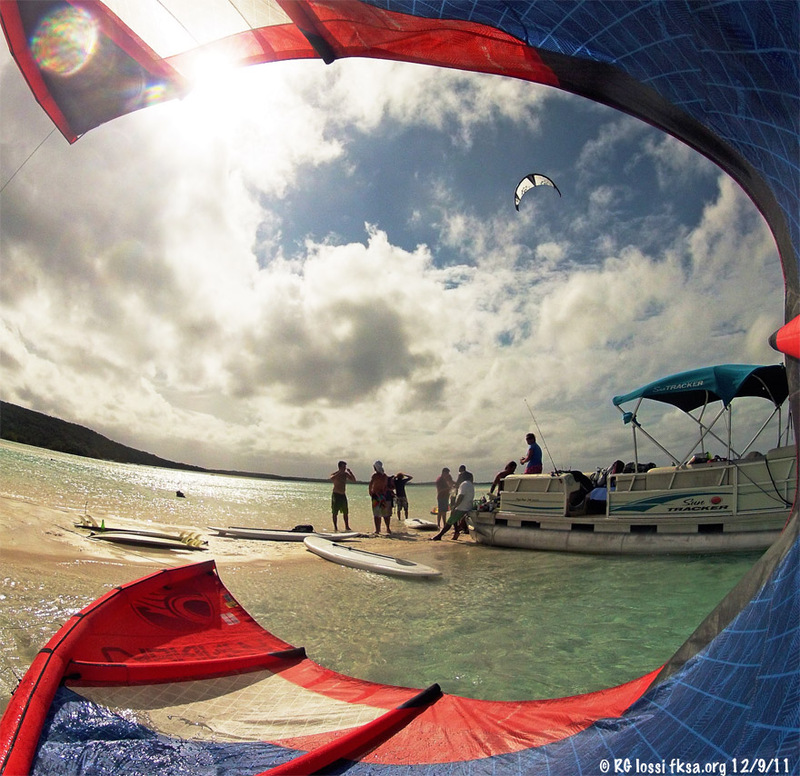 One of many superlative kiting spots, this one on the salt pond just to the north of the resort. 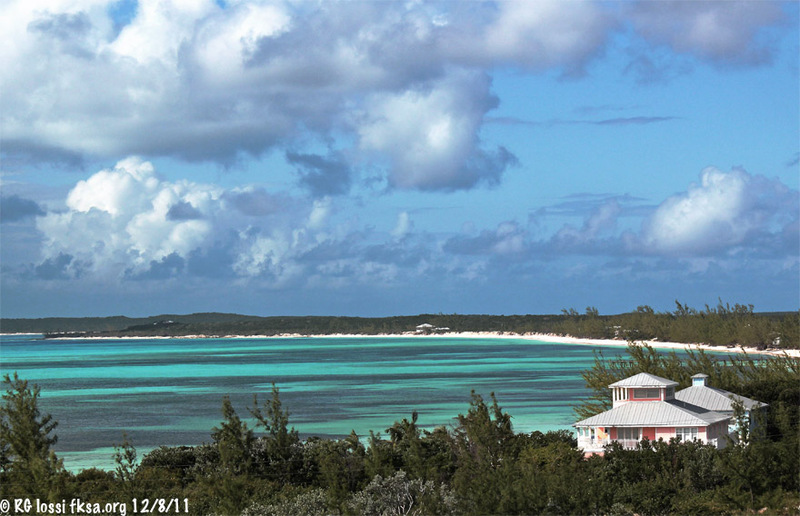 Rum Cay's current population is 60, prior to 1920 when the salt works shut down there were over 3000 souls on the island. The salt pond isn't worked anymore, except by folks on their immersion experience of Rum. It is a mighty fine place with nearby Arawak cave drawings to add to the singularity of the experience. It is ok to get mudded and rummed up first of course. More about that to come. The rest of us mount up for the run to the Outpost. I understand they used to do this with massive land tortoises (not really). I understand these guys moved on to the Galapagos a while back. So, the trailer works well in their absence. A look at the cut towards to ocean. Life here is as mellow or intense as you like it. 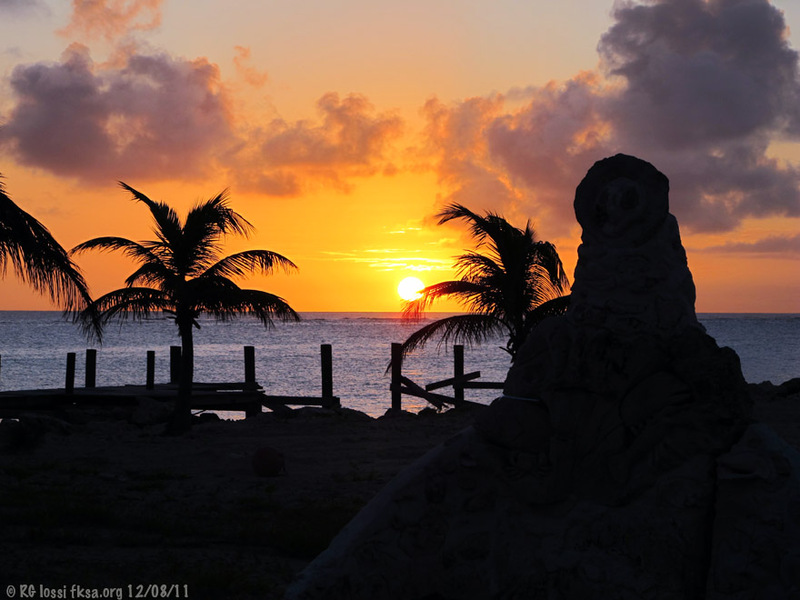 Although there is a mandatory happy hour around sunset each day for an island time out. Some of the cottages at the resort. There are several types of accommodations available from cottages, to rooms to barracks to entire houses. 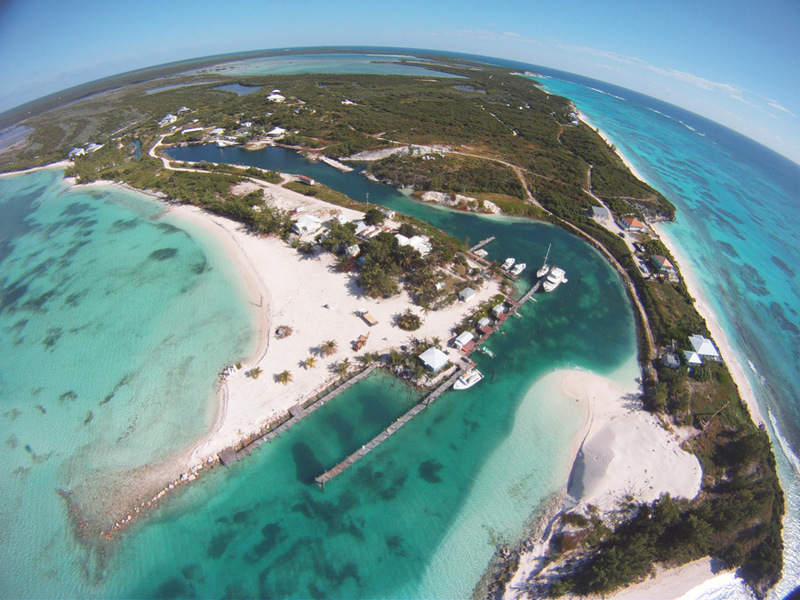 Still more limited accommodations are in development under the new Rum Cay Outpost Club & Marina. Back out to the break, watching the shadow surfers ride overhead. This place is definitely good for the soul. 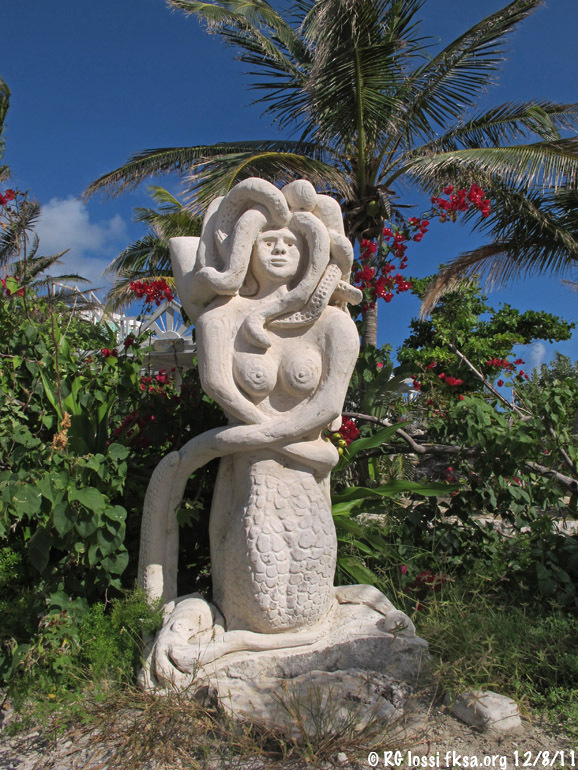 Bobby and his able partner Rasta have mastered carving dead coral colonies into some amazing sculptures that are strewn throughout the development. Bobby tells me some of his creations are destined to be returned to the sea as underwater art soon. A roof level view southwest across the island. Bobby and Rasta prepare the evening meal daily this time aided by Jenny late of Australia. 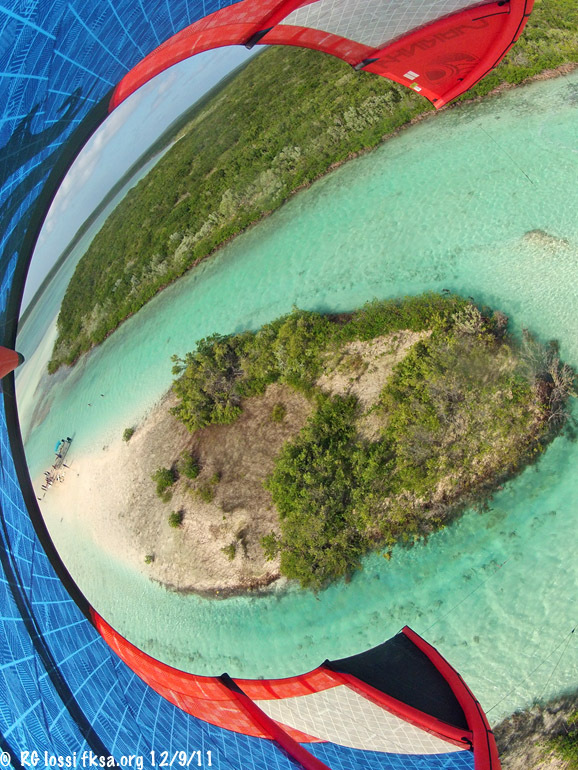 Jenny and Sam are moving around the Caribbean over the next year or so on their sailboat, taking an inside look at this unique waterworld. 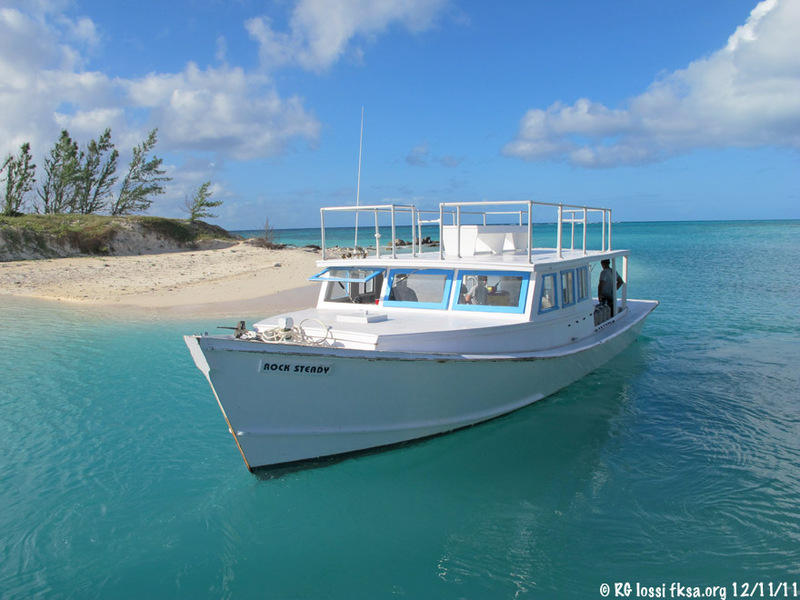 Foraging for food on the reefs and sand flats for lobster, conch and fish is a daily process here. The folks are expert at it and at preparing the fine repasts to follow. The Chefs outdo themselves with a multiple course creatively prepared spread fresh from the sea and the crowd likes it! 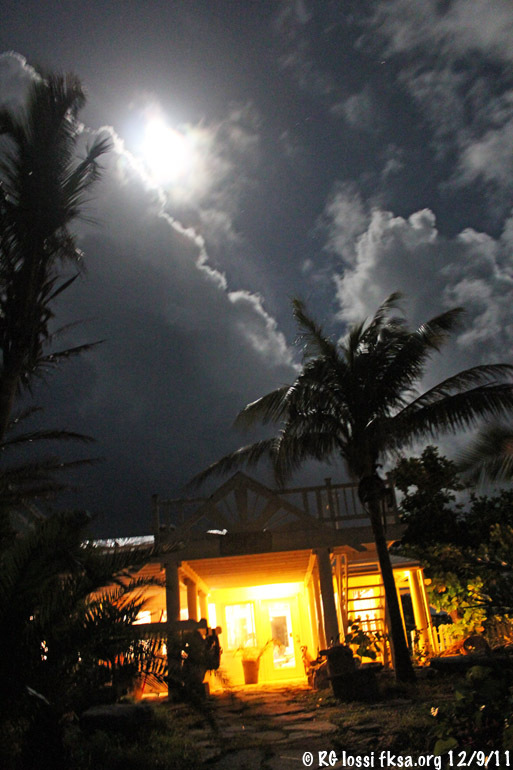 Dinner passes, night falls and the moon rises as tropic breezes run through the palms around the central lodge. 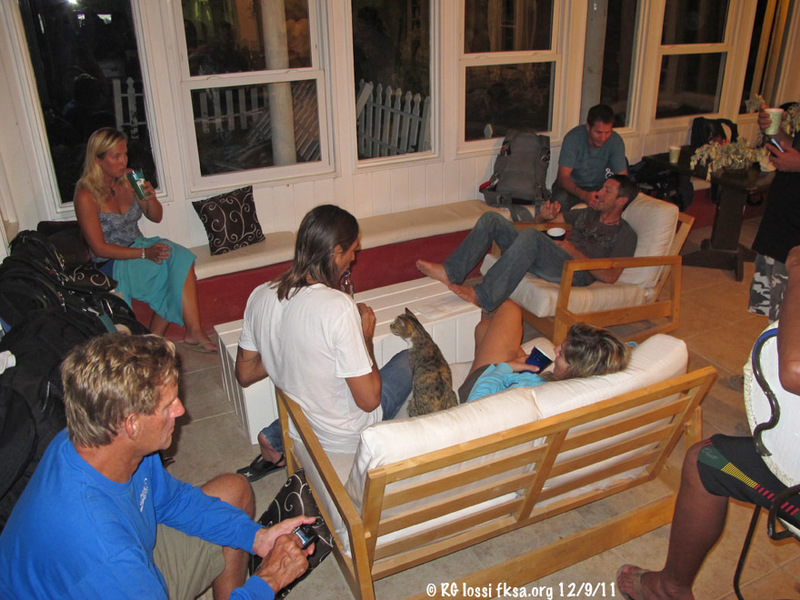 Folks sit around swap stories, plan dives, jumps, kite sessions, sample rums and basically chill out. It can become an addictive lifestyle. 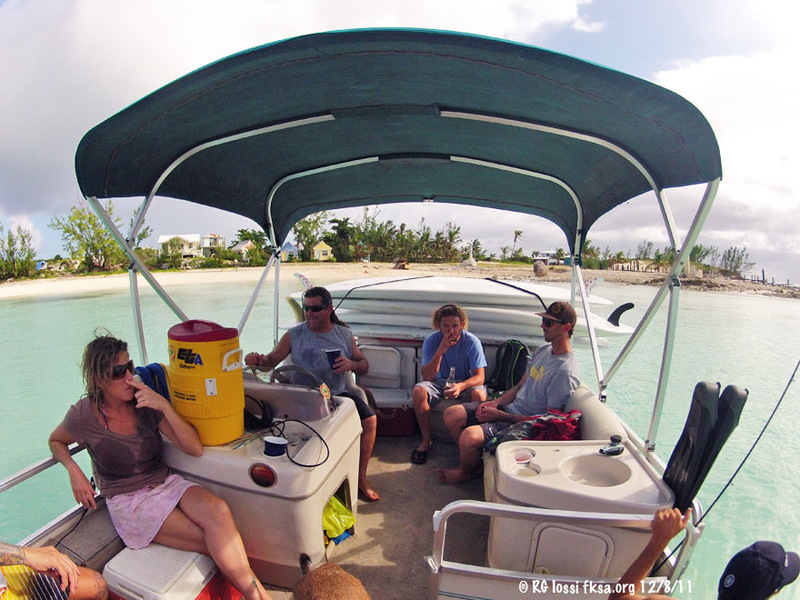 Loading up the pontoon boat for forays to other parts of the island, this time to the salt pond. 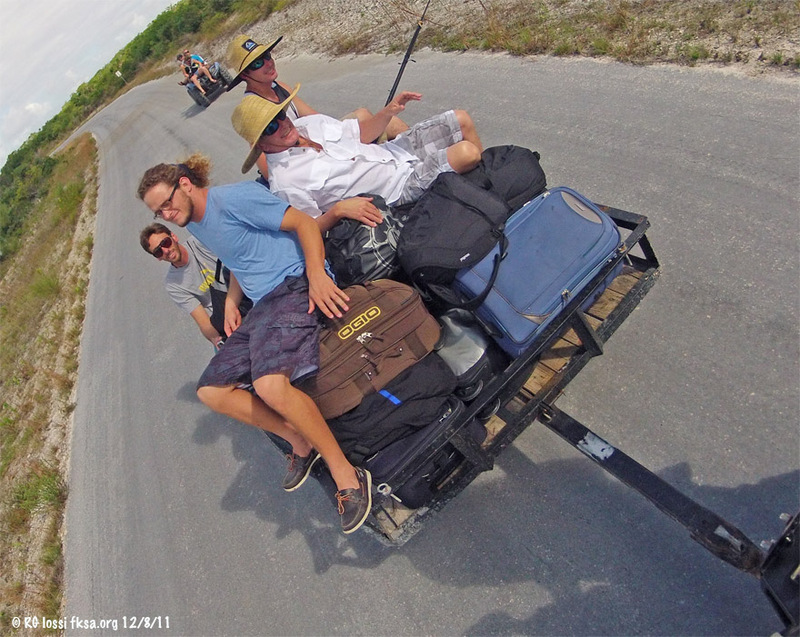 Some of the crew travels overland via jeep and ATV. Even going point to point can be an adventure here. Matt tacks upwind through the small tributary that feeds the salt pond to the open ocean. I headed out earlier, speaking of adventure, that is one in spades! Real scenic too, short tight tacks between mangroves upwind, going overland to the beach and then running out over exposed reef sections into bluewater. Bobby had an interesting shark experience in the ocean while SUP'ing here. 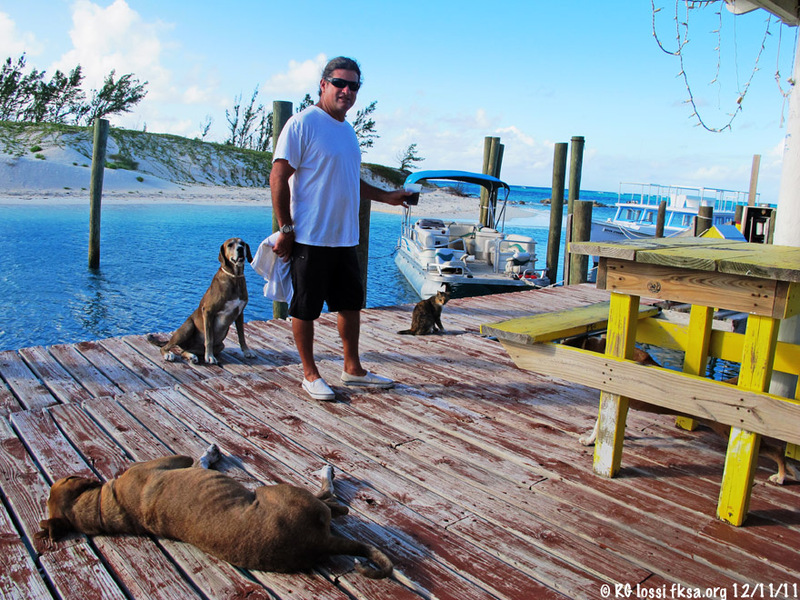 The dogs on this island capture and eat shark. They'll even try to take down real big ones too! More to come about that in the video interview. The "Rock Steady," the house fishing and dive boat ready to take folks offshore. In many ways, this place reminds me of the Bahamas of decades past. Something that will never return to some of the islands, except perhaps for here. It is well worth experiencing. 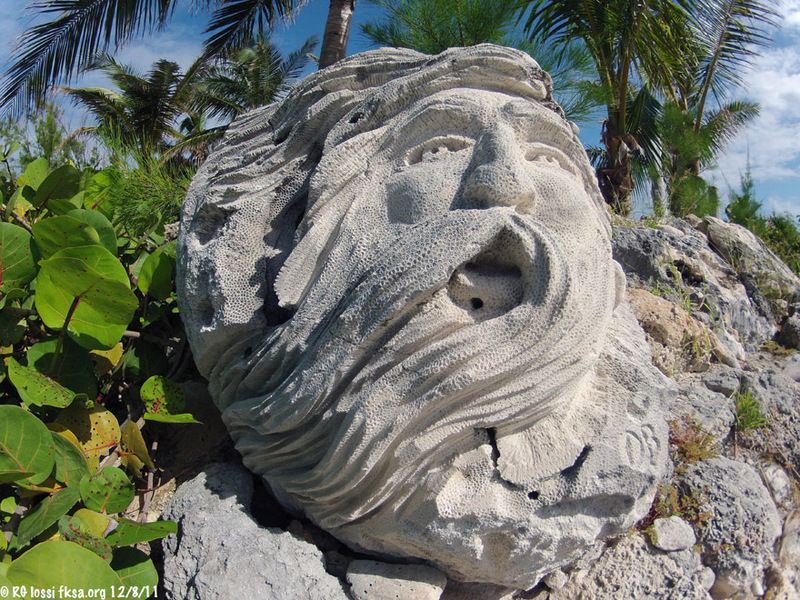 King Neptune gazes out to sea, another one of Bobby's sculptures. Hanging out on the sand bar in the salt pond. Quite a few images in this post were taken with the GoPro HD2, it offers some unusual high quality imaging options in a hardened small package. I was surprised to see so many GoPro cameras among the participants in this trip. The camera works well in so many applications particularly action sports. The big room at the lodge. On the way north to the salt pond. 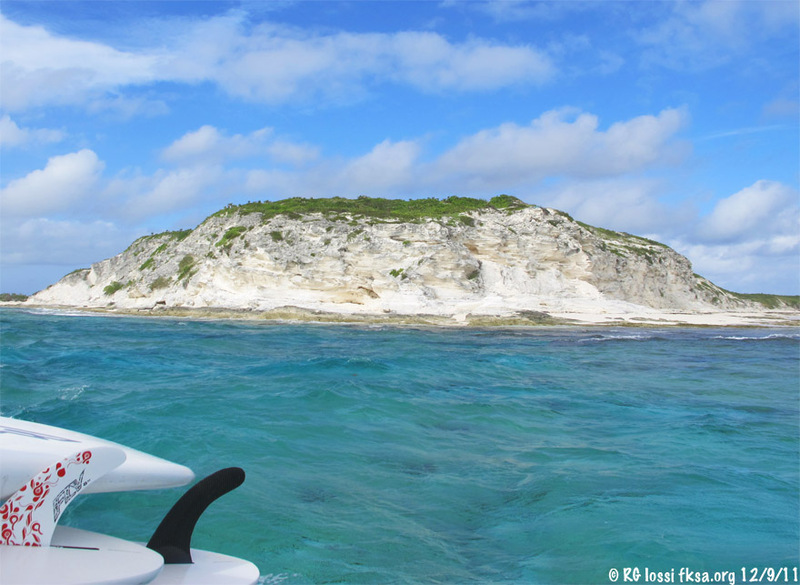 Rum has exposed limestone cliffs in places breaking up the coast into bays and headlands in spots. 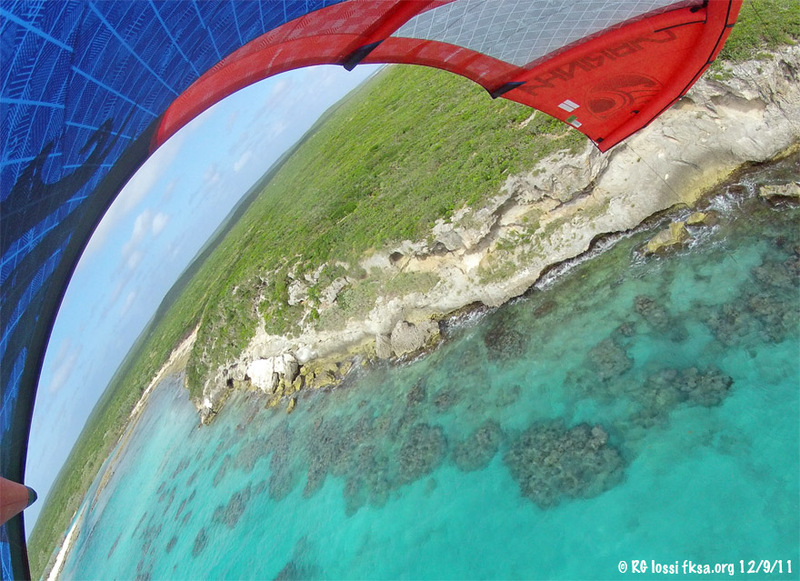 An aerial kite view of the sand bar in the salt pond. 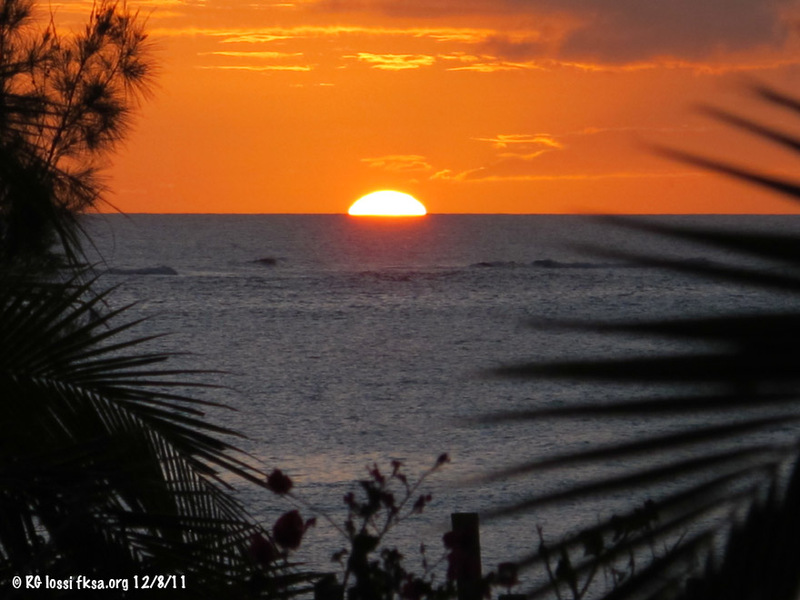 The sun sets on another action packed day in the Out Islands! There is some amazing diving close by including a drop off to thousands of feet with swim throughs just beyond the marina. They have dive gear, experienced dive masters to show you the undersea wonders surrounding this out island. Matt pops another one over the bar and the dogs cheer. Bobby rigged a GoPro around one of his dog's necks to capture a pooches-eye view of things. Considering they go ballistic when kites fly nearby, you might need to take Dramamine to watch that clip without interruption! 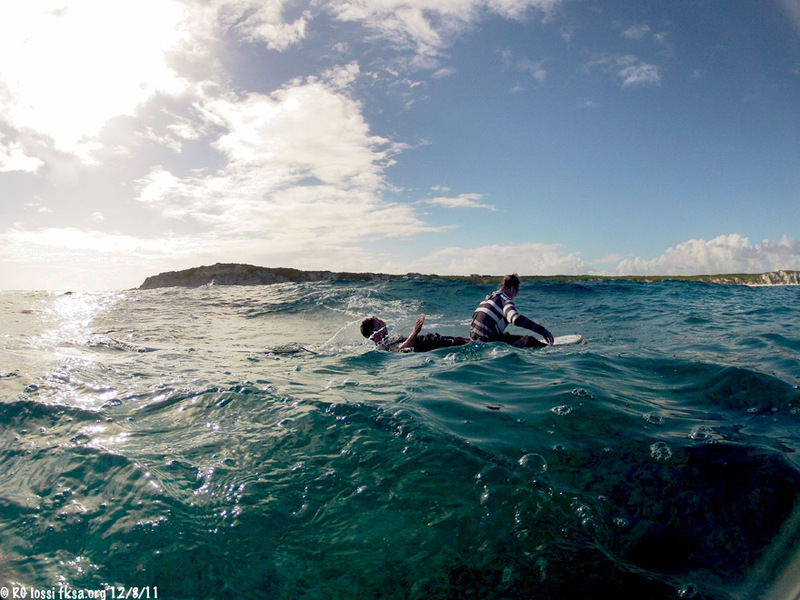 Craig and Doug paddle out of the break tandem style. 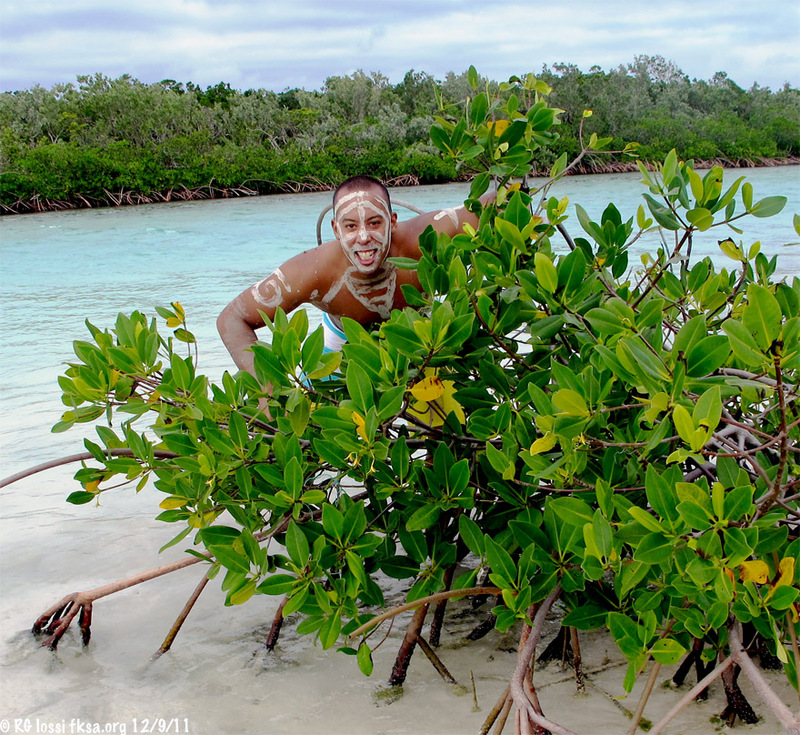 Jesse in mud-mufti lurks in the mangroves, Arawak style. Matt gives Craig a tow upwind. 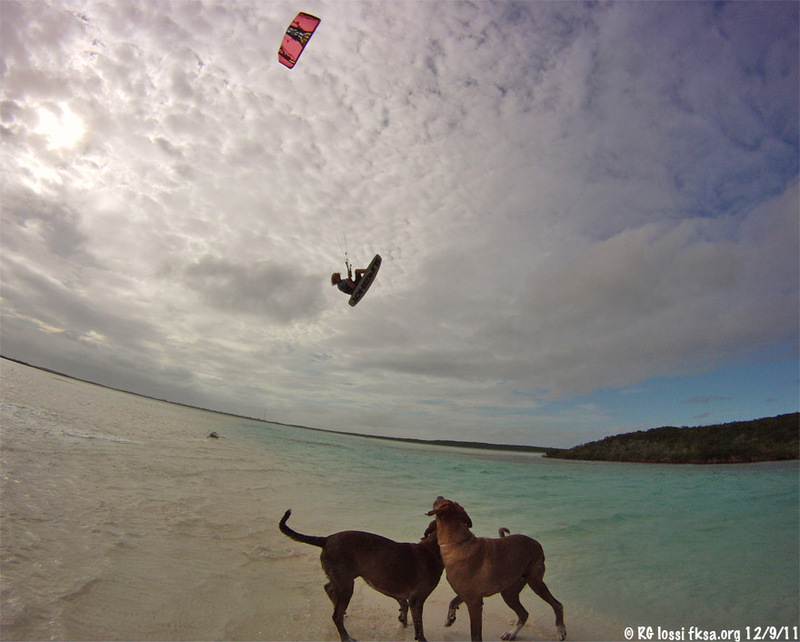 Another day at Rum, jumping over Sumner Point and gliding in to land in the resort by the sea. Randy maintains his jump plane here catering to sky divers and students many months out of the year. 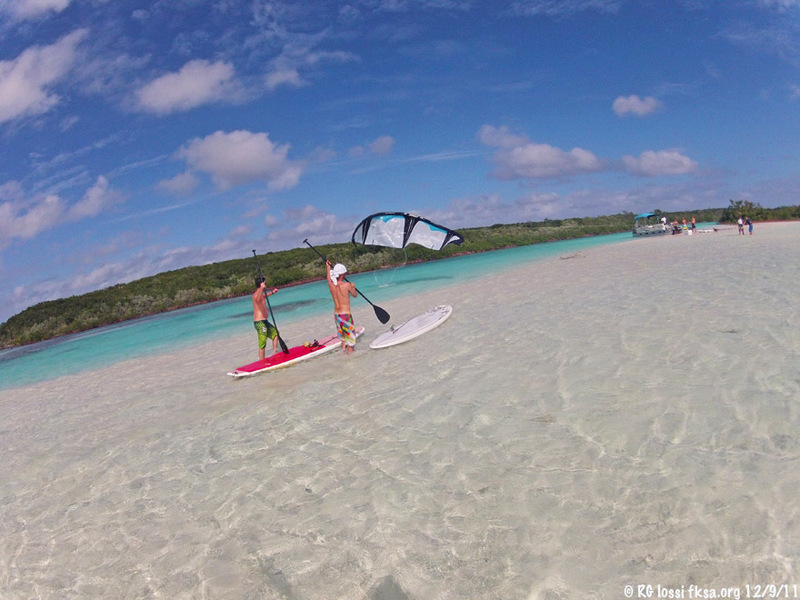 Craig paddles in from some SUP fishing on the reef. 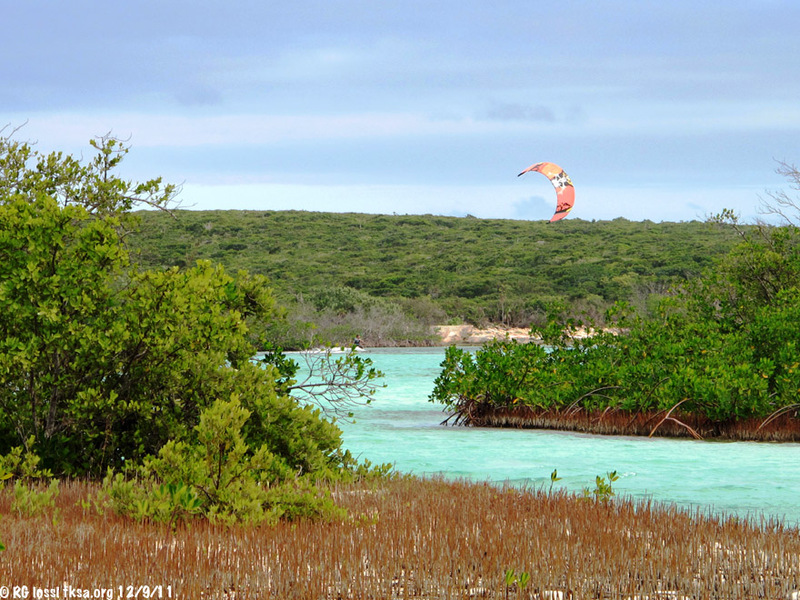 A mangrove island upstream in the tributary feeding the salt pond. 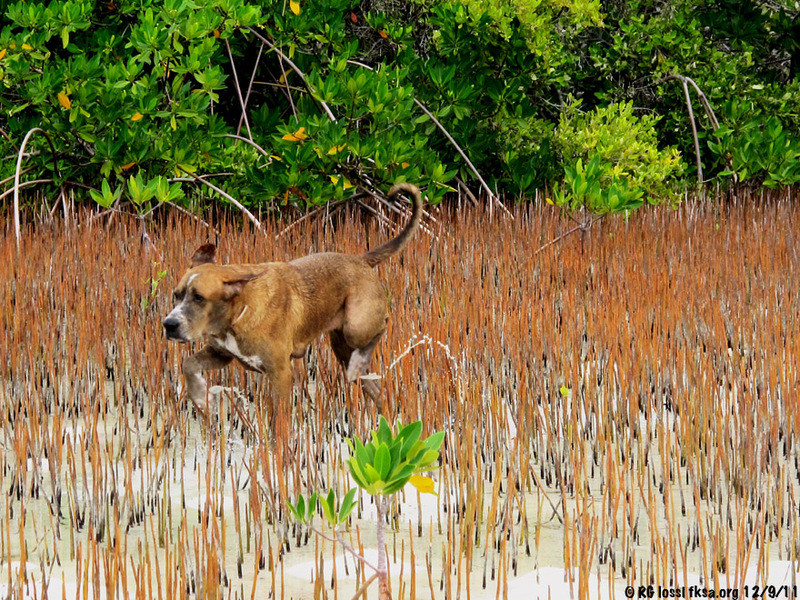 Dogs in the mangroves no doubt on the prowl for handy sharks that they might pickup from the shallows. It is a dog-eat-shark kind of place. 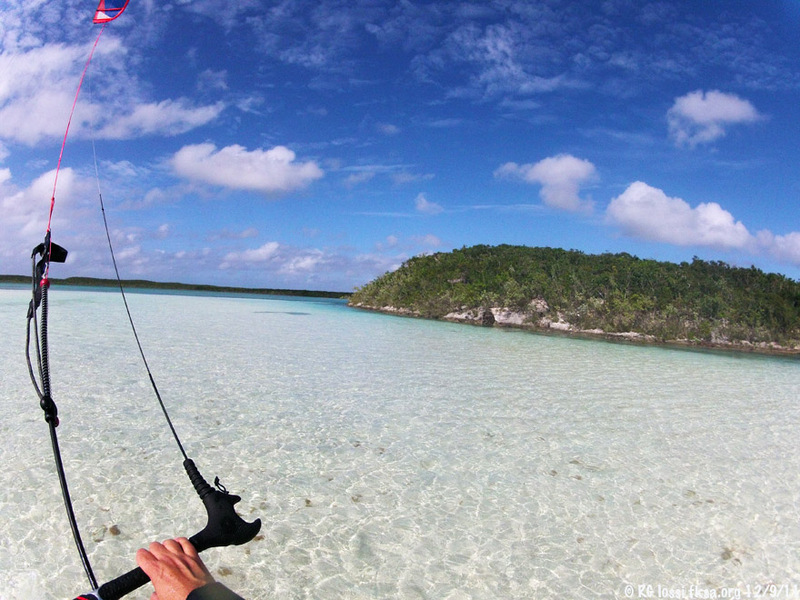 Kiting beyond the salt pond making for blue water as the kite flies over the limestone cliffs. 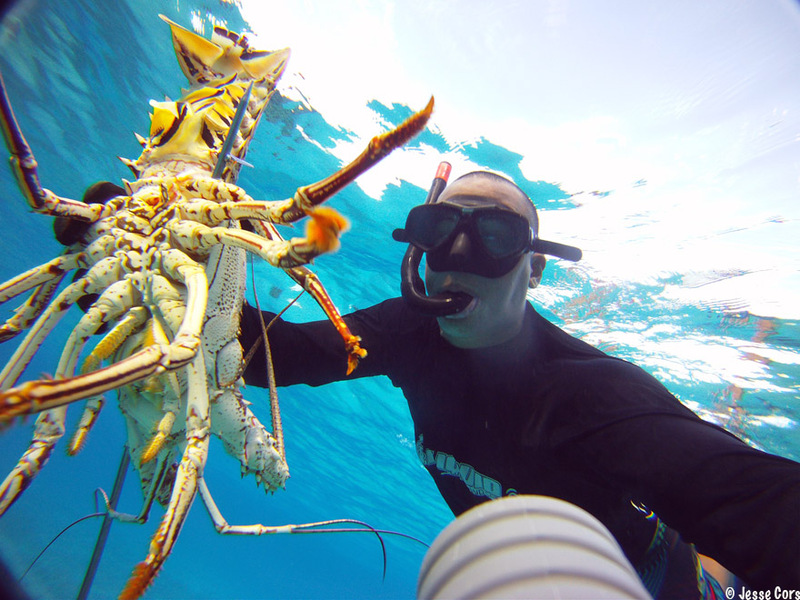 Jesse poses underwater with a typically massive spiny lobster off Rum captured with his patent Hawaiian sling-mounted GoPro camera. This sling-cam shot a video of a similar speared monster lobster kicking to the bottom bottom dragging Kristyn his girlfriend down with it. These are some tough downtown bugs, handle with care! Beachside fires are a regular thing on Rum. Bobby has conceived of quite a few spectacular flaming spectacles for the enjoyment of visitors. He has some new great ideas in the works too. 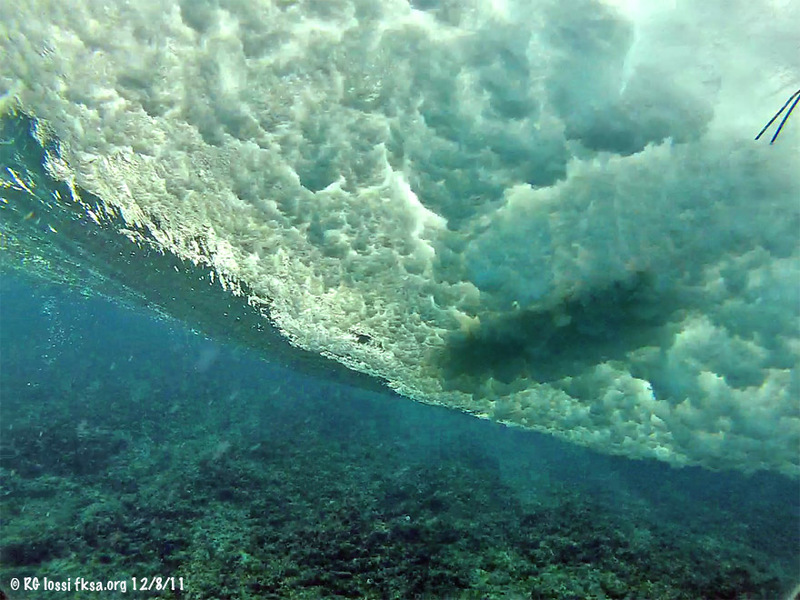 Making further offshore sliding through breakers on exposed reef. Be careful not to strike here, could be painful. A visitor from another time to Rum styles with mud, knife and conch. Jesse holds out two goliath lobster which will feed quite a few people. 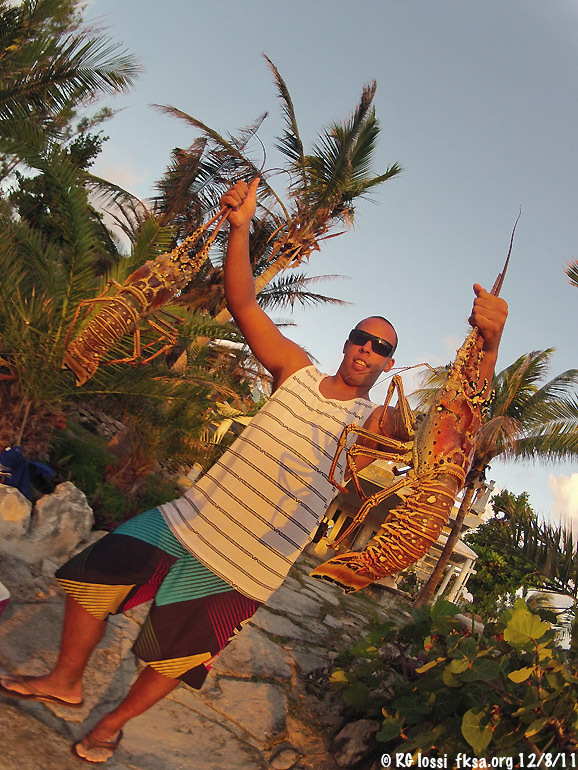 There is some GoPro wide angle size distortion but these were a pair of BIG lobster. 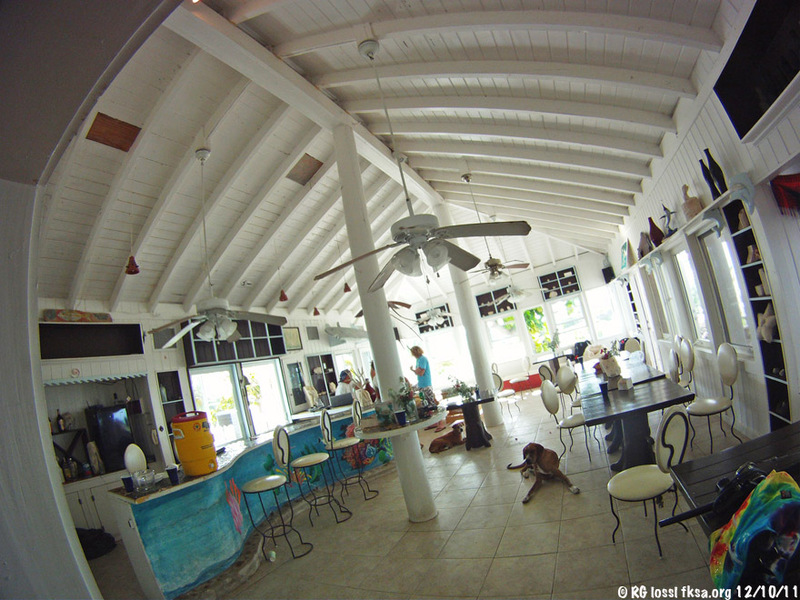 So, that is a first look at our time and adventures at the Rum Cay Outpost Club & Marina. There is lots more to see and do on Rum. 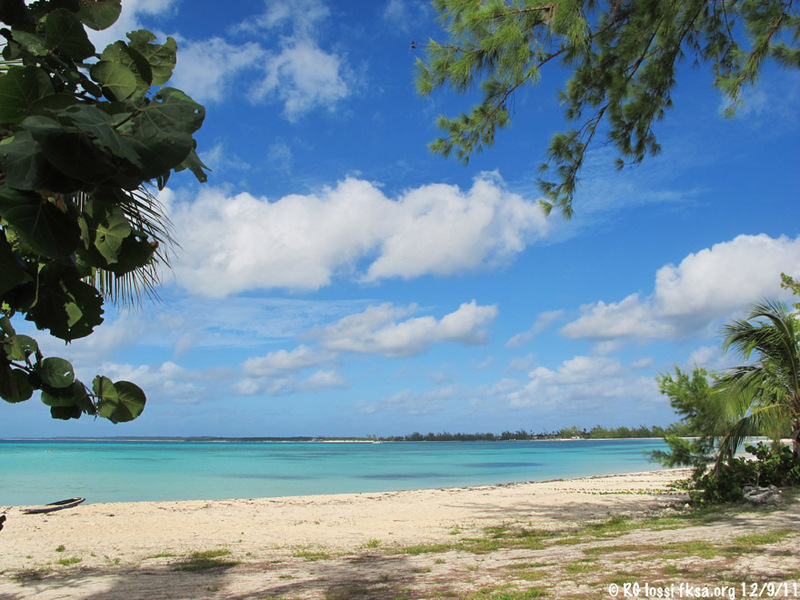 Don't just take it from me, find out for yourself through your own Rum Cay adventure. Drop an email to Jesse Cors at jcors@guyharveyoutpostrumcay.com and he'll work out a memorable vacation for you at this excellent island destination.